This month Sephora Play has begun to customize their boxes to your Beauty Profile needs. I do love that these boxes are moving to be more customized, but wish you could choose between the mix of products. Other products in the January 2017 Play Box consisted of AmorePacific Color Control Cushion Compact Broad Spectrum SPF 50+, YouthToThePeople Kale + Spinach + Hyaluronic Acid Age Prevention Cream, Caudalie Resveratrol Lift, Dermablend, Wild Child Eau De Parfum Towelette, Boscia B.B. Cream, and Farmacy Honey Potion. This product is a stick exfoliating cleanser with Rainforest of the Sea complex. Overall all this is a really gritty gel stick that gets rid of dead surface cells and cleans the skin. I did feel like this did a Clarisonic-esque-cleansing job which my skin has needed lately. I took a long hiatus from using my Clarisonic and now I feel like I need it more than ever. I like that this cleanser can also be used as a mask if you leave it on for 10 minutes or so. I did find myself a little amazed with how good this made me skin feel. The Tarte Scrub Cleansing set is $12 and includes a .22 oz of this product and two other goodies in case you're thinking of purchasing a mini. For all the hype that Clinique has I really haven't tried a lot of their products. I have been eyeing the Clinique for Crayola Chubby Sticks though, hello beautiful! 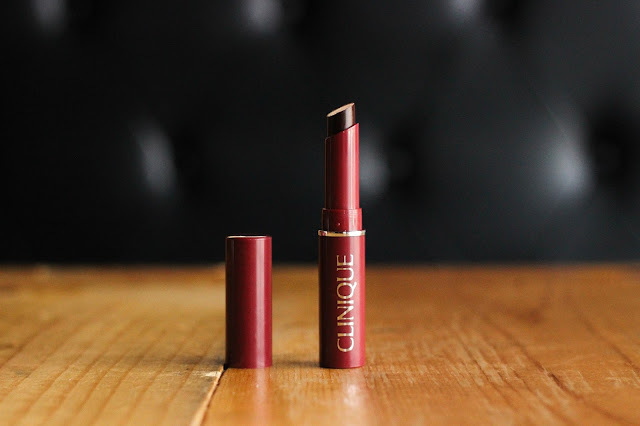 This lipstick is ultra-light and not a gloss or lipstick. It fuses with your natural lip color and creates a unique lip look. Honestly, I was hoping Black Honey would have a Kat Von D Homegirl kind of color, but it didn't. It had more of a Bare Minerals Pop of Passion Lip Oil-Balm feel without the color BM packs. You can get a $36 Honey Honey, Set from Clinique with two Almost Lipsticks and two sweet pots. Not a bad deal if you're a fan of this lipstick line. This lipstick did help me get me through my viral infection and I am very thankful for its moisturizing nature. I do like Chubby Sticks more. I love getting creams in my Play box, definitely one of the reasons why I love this subscription. I was so surprised when I tried this moisturizer. It was so heavy, fluffy, and moisturizing in the best way possible. Plus it has 6 Rare African Oils! What really shocked me was the longevity of this product. I usually have to moisturize twice in the morning and night. However when I woke up one morning having put this cream on the night before, my face was still very moisturized and brighter. Magic! I think this product may be a game changer for me. I'll definitely be spending Beauty Bank points on this product if its a perk option. 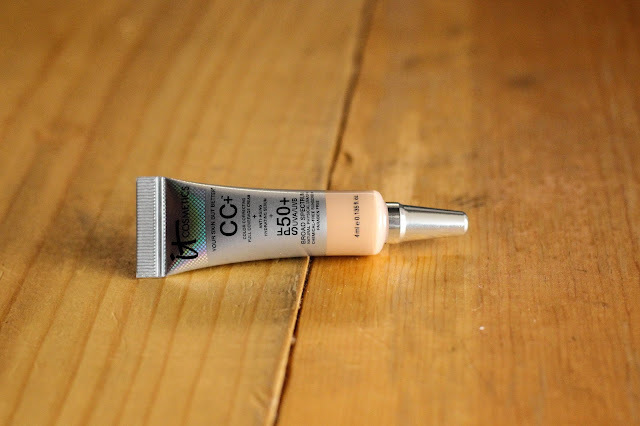 I was so surprised at how much I liked this CC+ Cream. It matched my skin perfectly and was a nice alternative to wearing foundation. I am obsessed with this product it has SPF 50 in it and anti-aging serum! A lot of reviewers of this product said that it helped with their acne which is nice to hear. 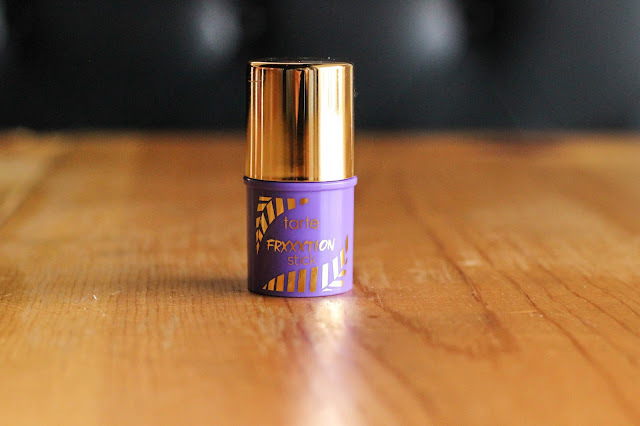 I liked using it both as a foundation and as a concealer. Would definitely consider getting another travel size! 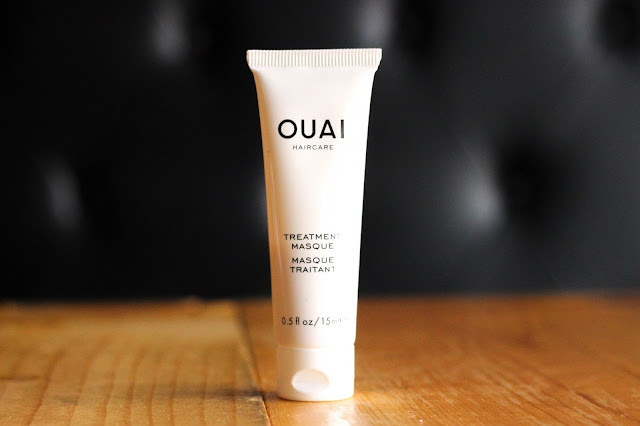 I'll be the first to admit I am hesitant to try OUAI products. Especially after the whole wave spray fiasco from the summer. This mask is super liquid-y with a lotion like consistency. It has a light rosy smell and a pink-ish tint. You shampoo, possibly condition, leave the mask in for 5-10 minutes, chill out, and then wash it out. I did have to use quite a bit of product on the first try to cover from scalp to tip. Overall I did like the results of this mask finding that it made my hair feel super clean. This is a strong perfume containing pink pepper, rose, orris, sandalwood. I think the pink pepper is definitely the strongest part of this scent. Its a warm floral scent but I don't notice the floral notes at all compared to the strong pink pepper. This is a nice scent overall. I think it'd be a good gift. The rollerball is an affordable $28! Overall this month's box was good to me. I am still a bit disappointed I didn't get to try the Farmacy Honey Potion, but there's always next time right? 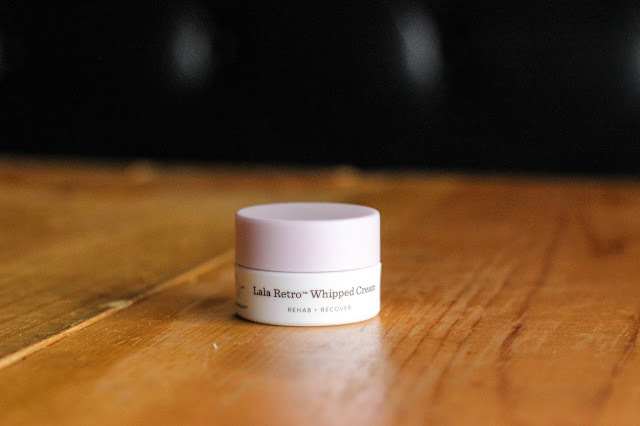 I am obsessed with Lala Retro Whipped Cream and would definitely try another IT Cosmetics CC cream! What are you upto this weekend? Hope everyone has a great weekend, it's unusually warm here in Kansas but I'm not complaining. I wanted the Honey Potion so bad haha I blame your insta stories. I do really like the LaLa Retro. So sweet, I always give my mom the floral perfumes. I wasn't a big fan of the Clinique product but ugh still stuck on the Chubby Stick Crayons. I did too, I loved the exfoliating stick! I want to try more of Tarte's face products honestly. These products look fantastic!! Thanks for sharing!! You got so many amazing products! Would love to try the Tarte stick and the It Cosmetics CC. They are both wonderful Carina, thanks for stopping by! I've heard so much about this box. It seems like an interesting way to try new stuff especially since Sephora stuff can be very pricey. Interesting review! Its so good you should try it! Thanks love! I need to get to sephora pronto!!! Its such a pretty product not a huge fan of the color/formula. Its a great box Cielo! Thanks for visiting! Love your blog name Mima. Sephora is so good and such a dangerous place lol. Hi CHanel, I wish Sephora was doing the same in Switzerland. I would love to try the CC cream. It sounds like a great product. And I especially like that it has SPF50+. Awh I'm sorry to hear that Miriam. I know they are really trying to test and get feedback on the Play Subscription so by the time it goes international it will be well tested.! I think you can try ULTA for these products too, or my ShopStyle Widget. They're so good Marta! Thanks for visiting. That cream looks to die for! 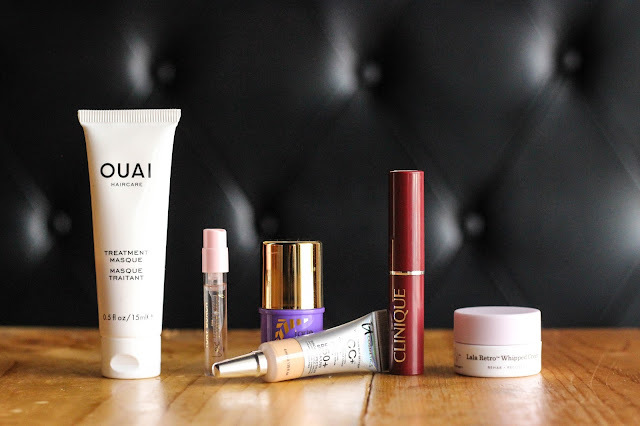 I do Birchbox, and am always excited when I get a good face cream. Ugh I wish I got Birchbox too but I can't justify both. Plus I build up BI point so easy from Sephora Play. The cream is so good Annie, try a in-store sample at Sephora sometime! So many goodies! Love it. Thanks Molly I love them too! Great post! 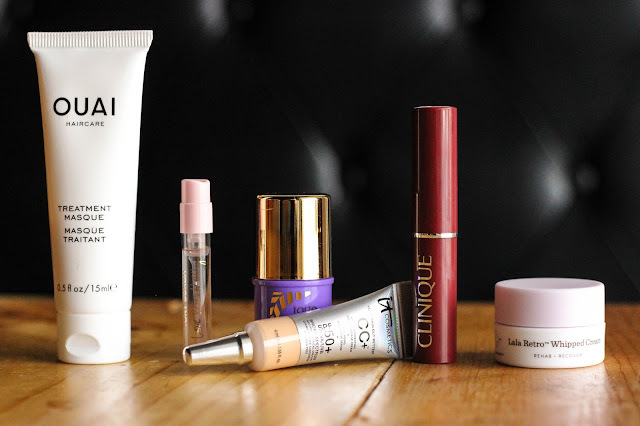 The IT Cosmetics CC cream is already my life, but I'm VERY keen to try that exfoliating stick! Thanks April! Ooh get it girl! The exfoliating stick is so good there is a set for $12 with a mini and a couple other things you should check out! enjoyed reading the post. amazing products . 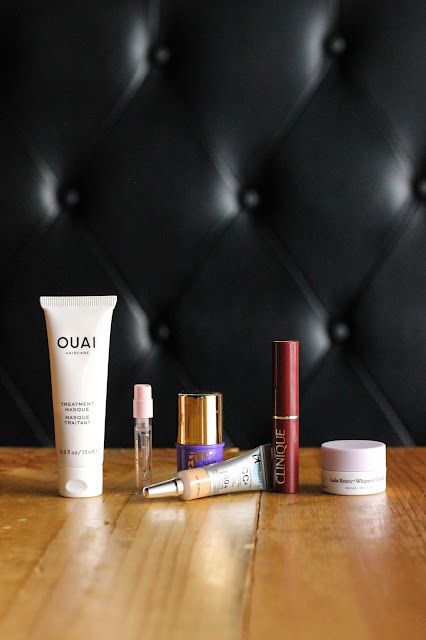 I have yet to try one of these boxes but all of these products look wonderful! They're so good Maggie definitely recommend! I really need to start getting these boxes! every time someone posts it, they have such great products! I have to try one of this boxes!! Really interesting! So good Monica, thanks for stopping by! I keep hearing great things about that cc cream! Its pretty great Amy! Works as a multitasking product which I'm all about. That stick exfoliator looks like it would be really fun to try! I remember wearing Clinique's Black Honey when I was younger, and now I kind of want to try it again to see if I still like it. I'm drawn to more natural lip colors, so I like how it's kind of sheer. It seems overall, you hit a home run with January's box! All of these products sound wonderful and I'd personally love to try them, especially the moisturizer and CC cream! Thanks so much for sharing your honest thoughts with us, girlie, and I hope you're having a great start to your week so far! It was a good box Jalisa! Thanks for visiting lady, likewise! That Drink Elephant cream sounds amazing! Oh wow, this by far is the best Sephora Play! box I've seen, you're so damn lucky! I'm going to read the reviews for the Drunk Elephant moisturizer. You need to get it Shireen! DE has so much hype and I tend to stray away from those products but I am considering changing my mind. Its so good Angela! Thanks for visiting. Amazing post, dear! Looks wonderful! Yey for the affordable Tory Burch scent!